Each I year I attempt to grow a few new vegetables and I've been completely obsessed with my cucumber plants this summer. I had no idea how quickly they'd grow. And tall. 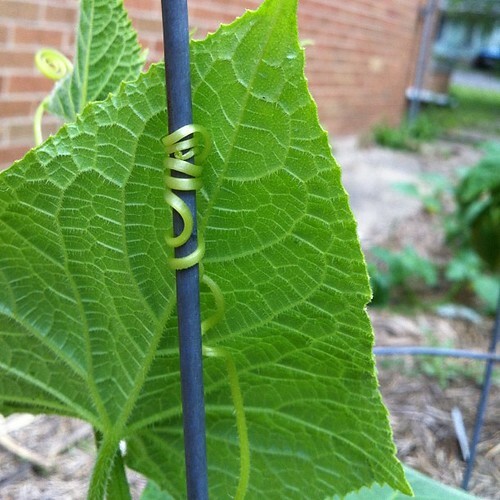 It's beautiful, the way their tendrils reach with intent to climb higher and higher each day. I'm amazed. 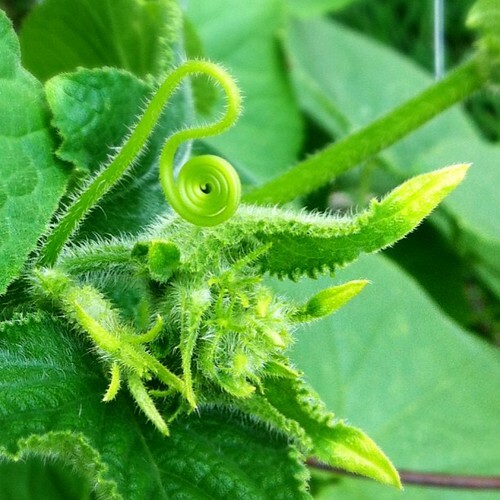 Before I left for Oregon, I had one small cuke who'd barely started growing. Eight days later I picked six cucumbers within five minutes of arriving home. And today I picked two more. There are a whole lot of little tiny cucumbers just starting out. Two weeks from now I may be in cucumber overload. Maybe now's a good time to start research pickling. I have had them & they are pretty good.